Now, this… THIS I was almost certain I’d NEVER see. Apologies for the lack of updates! I’ve been swamped with all sorts of different activity going on lately. BSZ-Lite Update: Now with English translation! 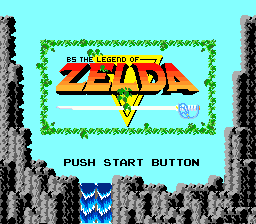 I’ve just finished testing up a newer build of Mottzilla’s BS Zelda Lite patch. This version is meant to fix a saving glitch. 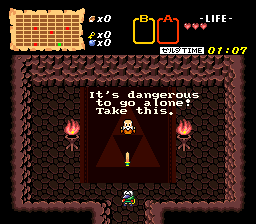 It also has Duke Serkol’s fan translation applied to it! Those who might be popping in for the first time wondering what the news with Mottzilla’s new BSZ-Lite is can check the post below this. Zelda fans, The New “Mottzilla BSZ-Lite Hack” is a must-download. Luigiblood has started up a site for a new project he is working on. Besides the name “Broadcast Satellaview” being questionable, the prospects of the project sound very interesting. I’m really hoping it gets somewhere. For reference, Luigiblood was the guy who previously made a Satellaview “Hello World!” Homebrew, so he’s not just throwing stuff up out of no-where’s land. “Hello Satellaview!” homebrew ROM is born. So, the past few days on #serioushax @ Caffienet on IRC, I’ve been talking to Seru-kun for a bit. He was interested in making a Satellaview homebrew app, and was asking me for help. Typical of me, I had to have an obvious blank spot in my research somewhere, so I wasn’t as helpful as I could’ve been… but eventually he got something out! The ROM boots on BSNES. Kinda doubt there’s a way to test it on a actual BS-X cartridge at the moment, and there may not be as long as the only methods would involve destroying old packs… but hey, a man can dream, yes? In the meantime, Seru-kun and I are talking about the potential benefits and limitations of working homebrew on Satellaview. He may soon release yet another homebrew app that uses the Satellaview-specific registers to some degree. And maybe this time I won’t be missing important information…. nah, I probably will. pft.